Cotgrave is mentioned in Domesday Book where it appears as Godegrave. 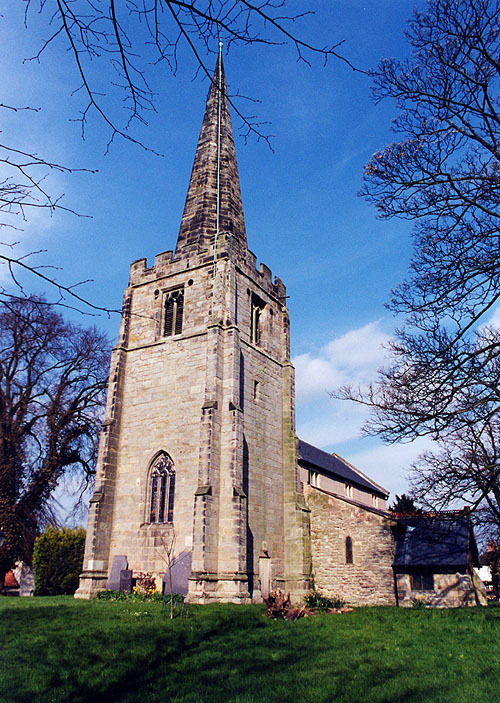 Parts of All Saints date from the 12th century, but the church includes additions and alterations from the 13th, 14th and 15th centuries as well as later alterations down almost to the present day. repairs and renovations are known to have taken place in the 1840s and the 1870s. The church was badly damaged in a fire in 1996 and subsequently restored by John Cunnington, Architects.